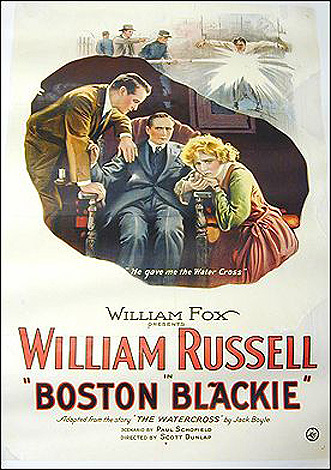 Boston Blackie, just released from prison, threatens the warden, Benton, that he will have him removed from his job for using the infamous "Water Cross" torture on prisoners. Boston Blackie, just released from prison, threatens the warden, Benton, that he will have him removed from his job for using the infamous "Water Cross" torture on prisoners. To avoid problems Benton has his officers pursue Blackie. Benton is successful in his attempt to have Blackie arrested and returned to the prison. But, his evil schemes are ultimately thwarted by Mary Carter, Blackie's girlfriend, who manages to alert the governor. They arrive in time to save Blackie from further torments by Warden Benton bringing Blackie his pardon. Benton is fired.